I will never take freshly baked bread for granted again. The work and time it takes to produce the perfect crumb, raw dough gently massaged in the cup of one’s hands, back and forth, a gentle weaving rhythm – it’s an art, reaching that exact moment when the gluten strands achieve their perfect stretch, a smidge more flour if needed, until precisely ready to sit and rise. 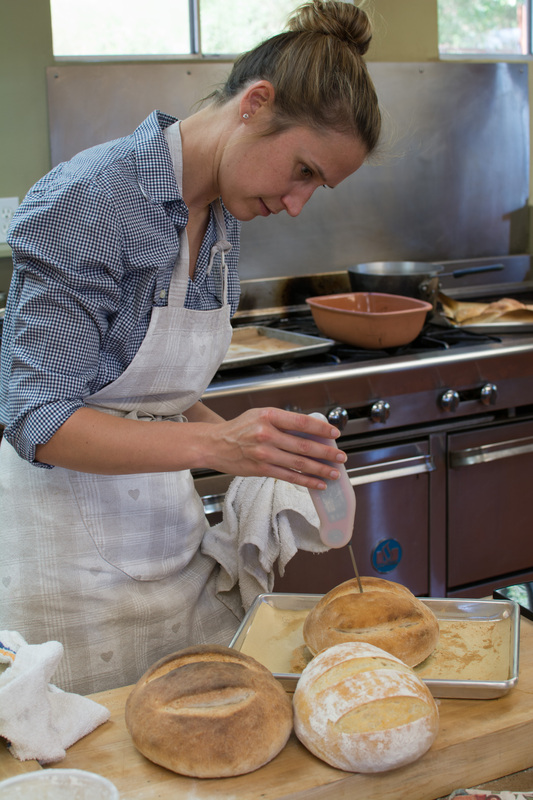 After attending an artisan bread-making workshop with Bay Area’s legendary Chef Maggie Cattell, I have a new found appreciation for this ancient craft. 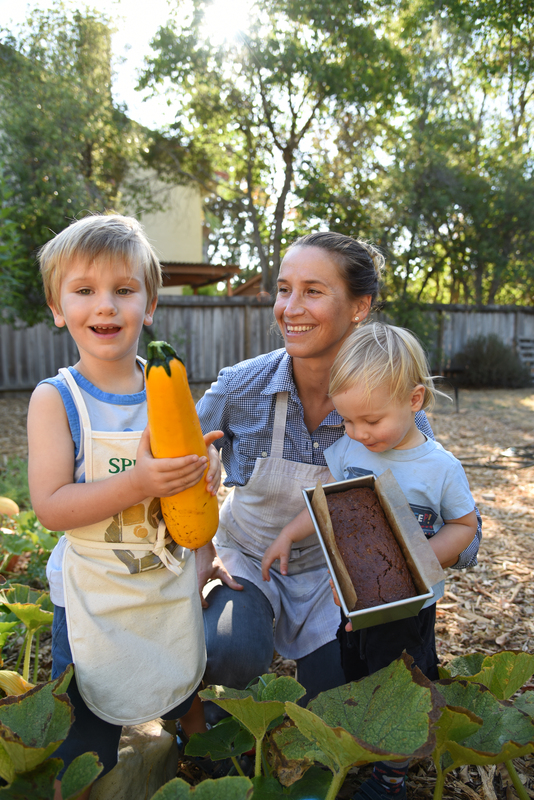 Chef Maggie is an inspirational dough whisperer and organic gardener. A California Culinary Academy-trained chef, she worked in Paris with renowned Chef Christian Constant at restaurant Le Violon d’Ingres (one Michelin Star), and then returned stateside to work with Chef Douglas Keane at his Cyrus Restaurant (two Michelin Stars) in Healdsburg, California, and eventually as Head Baker at Piccino in San Francisco. Along with her fine dining restaurant stints, she consulted in sustainable food practices, passionately exciting the community about healthy foods. 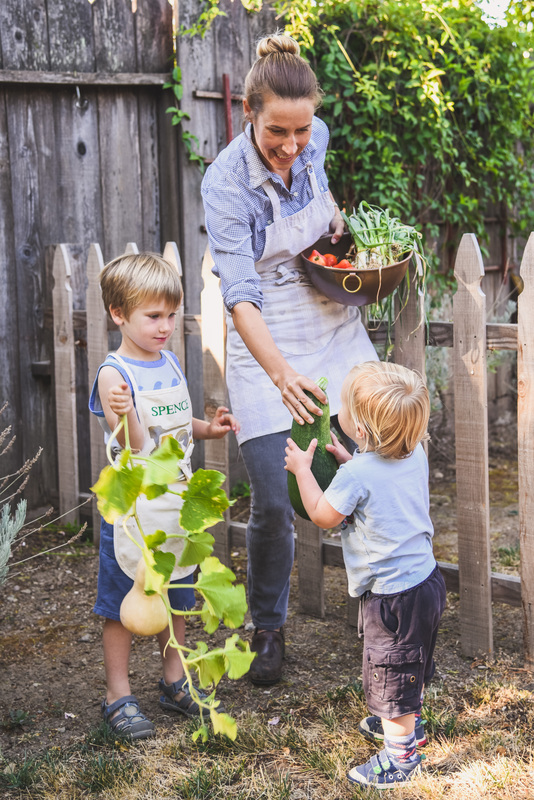 In recent years, Maggie has turned her attention and skills to raising her two young toddlers with healthy sustainable food. When Maggie’s son, Spencer, turned one, he had his first taste of something sweetened with sugar: a birthday cake. Soon after, he had his first cookie and more sweets. Maggie noticed he was becoming a picky eater and always wanted sweets or processed carbohydrates. Frustrated by his new-found cravings, she drastically reduced her use of sugar in baking and started collecting and creating new recipes for treats using less refined sweeteners and processed flours. Her first gem of a discovery was an ancient grain: einkorn wheat flour. Einkorn wheat means “single grain” in German, and has been out of mainstream production for close to a century because of its difficulty to harvest and mill. Mechanized cultivation in the 1960s allowed common wheat to be grown on a far larger scale than einkorn. Carla Bartolucci and her husband, Rodolfo, of Jovial Foods contracted with farmers in Italy to grow einkorn wheat after they discovered their gluten sensitive daughter was able to tolerate this ancient wheat. Einkorn’s “primitive” gluten is sure to secure its comeback amongst the ancient grains revival because its gluten content is much lower, making it a healthier food for our bodies to digest. Einkorn also has a higher percentage of protein than modern red wheats and is considered more nutritious with higher levels of essential fatty acids, phosphorus, potassium, pyridoxine, and beta-carotene. This ancient grain is on the rise and becoming a modern baking ingredient for better health and taste. Einkorn adds a nutty, caramel-like flavor to any bread or cookie recipe. Look for breads baked with einkorn at your local artisan bakery. Food & Wine’s most recent December 2017 issue features Chef Roxana Jullapat of L.A.’s Friends & Family’s Einkorn Butter Cookies recipe. 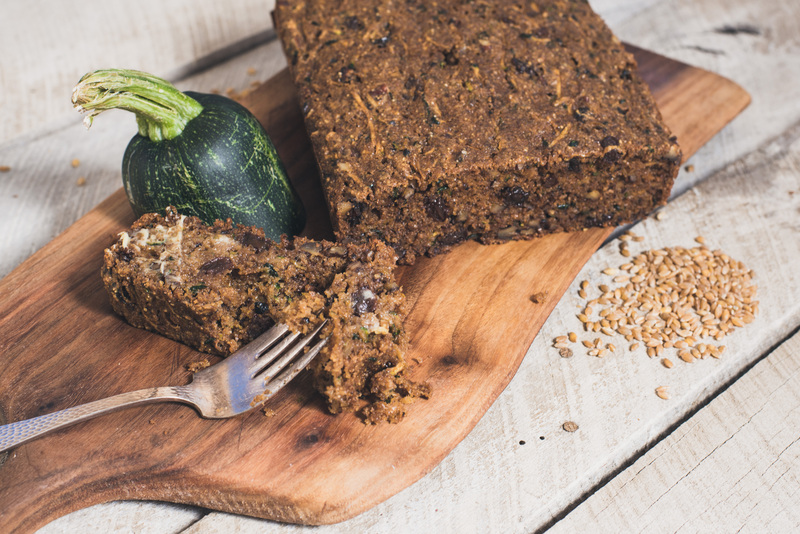 And here below, a must-try: Chef Maggie Cattell’s dense and belly-satisfying Einkorn Zucchini Bread recipe – best smothered warm out of the oven with farm fresh butter. Preheat oven to 325°F and set rack in middle position. Generously grease two 8 x 4-inch loaf pans and line with parchment paper. Rehydrate the raisins: In medium sauce pan, combine raisins and orange juice or liqueur, bring to a boil and immediately remove from heat. Let cool and soak for at least 10 minutes. In a large bowl, mix eggs with sugar until combined. Add grated zucchini, melted butter, vanilla extract and grated lemon zest and stir to combine. In another large bowl, sift flour, cinnamon, nutmeg, baking soda, baking powder and salt together. Use a whisk to mix well. Add dry ingredients to egg mixture and mix until just combined. Add nuts and raisins, then divide batter into prepared pans. Bake for 60-70 minutes, or until tester comes out clean. Set pans on wire rack and let cool about 10 minutes, then turn loaves out onto rack to cool completely. This story The Dough Whisperer Meets Einkorn Flour first appeared in Edible Silicon Valley magazine in October 2017.